All forms require the Adobe Reader software. "Fillable" portions of forms may not work for users of Firefox. It is recommended that you either open the document in Acrobat itself by clicking "Open With Different Viewer" at the top right, save the documents as a .pdf to fill them out, or use a different browser. Online access for viewing laboratory results via our Client Portal. Please contact the lab for assistance in setting up a Portal account. 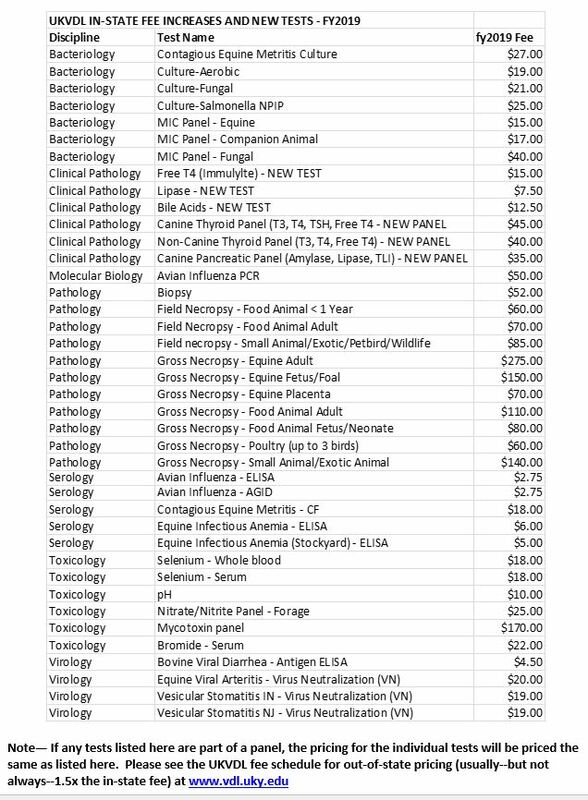 The University of Kentucky Veterinary Diagnostic Laboratory (UKVDL) strives to be the leading veterinary diagnostic service, research and teaching laboratory in the United States through the application of peer-reviewed, validated scientific methodology and quality control systems in accordance with ISO 17025 standards. 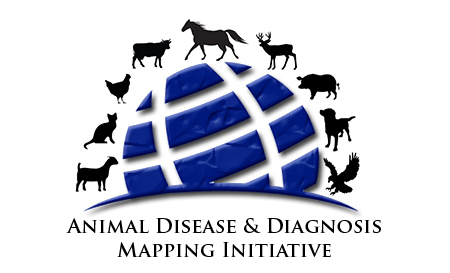 The mission of the UKVDL is to develop and apply state-of-the-art diagnostic methodology to improve animal health and marketability, to protect the public health and to assist in the preservation of the human-animal bond through the principles of One Health. The UKVDL is fully accredited by the American Association of Veterinary Laboratory Diagnosticians. Please Note! UKVDL does not accept live animals. UKVDL does not provide euthanasia services. UKVDL does not dispose of animals except in the case of a paid necropsy. Specimens become property of the UKVDL once received by the laboratory. Return of specimens to submitter is generally not permitted unless permission is granted by the laboratory Director. As of Dec. 31, 2018, we are no longer able to offer Canine CTLI testing due to manufacturer discontinuation of the test. UKVDL is now offering Free T4 and Bile Acids testing. The Free T4 testing now enables us to offer a canine thyroid panel including T3, T4 TSH and Free T4 and a non- canine thyroid panel including T3,T4 and Free T4. Bile Acid testing includes pre and post prandial. The individual tests are available for each as well. Please check the Clinical Pathology test menu on our website for details. Fully accredited by the American Association of Veterinary Laboratory Diagnosticians. Approved by the National Poultry Improvement Plan. Questions/Comments Copyright © 2012 University of Kentucky, College of Agriculture.